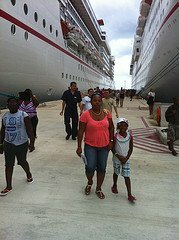 Your family will find several affordable hotels near Mobile Cruise Terminal, allowing you the opportunity to enjoy both worlds: have fun on an inclusive Caribbean cruise and enjoy the attractions of Mobile, Alabama before or after your family Caribbean cruise vacation. Mobile Cruise Port Address is: 201 South Water Street, Mobile, AL 36602. This address puts the cruise terminal smack in the Mobile Downtown area, not far from the heart of Mobile and close to many top attractions in the city. USS ALABAMA Battleship Memorial Park - See historic battleships (including a submarine) and aircrafts. Get a feel of history! Wordclass Golf Courses - Be amazed by 21 great golf courses! 5 Rivers – Alabama’s Delta Resource Center - Welcome to Outdoor Adventure! Fresh and Delicious Seafood and Southern-Style Cooking - Come for Just the Food! Now that you have some great reasons (and many others to cruise to the Caribbean from Mobile), let me show you some recommended and affordable hotels near Mobile Cruise Terminal. Find the best deal, compare prices, and read what other travelers have to say about hotels in Mobile. 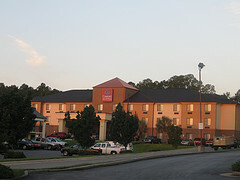 Address of Hotel: 80 Springdale Blvd., Mobile, AL 36606 U.S. Distance from Mobile Cruise Terminal: 5 miles. 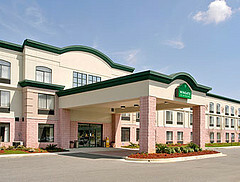 Address of Hotel: 150 Beltline Highway, Mobile, AL 36608 U.S. Distance from Mobile Cruise Terminal: 5.3 miles. 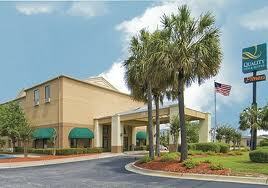 Address of Hotel: 516 Springhill Plaza Court Mobile, AL 36608 U.S. 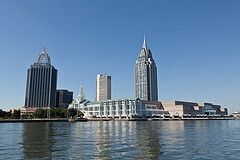 I have just listed 3 of many hotels near Mobile Cruise Terminal from which you can choose. If you have not found the one that you are searching for, look below for more options. If you are still searching for an affordable hotel to stay near the Mobile Cruise Port and the major attractions of the city, follow any link below to learn more about other recommended hotels near Mobile Cruise Terminal. 1. Comfort Inn Mobile: Find the best deal, compare prices, and read what other travelers have to say about Comfort Inn Mobile. 2. Red Roof Inn Mobile North: Find the best deal, compare prices, and read what other travelers have to say about Red Roof Inn Mobile North. 3. Renaissance Mobile Riverview Plaza Hotel: Find the best deal, compare prices, and read what other travelers have to say about Renaissance Mobile Riverview Plaza Hotel. 4. The Battle House, a Renaissance Hotel & Spa: Find the best deal, compare prices, and read what other travelers have to say about The Battle House, a Renaissance Hotel and Spa. 5. Holiday Inn - Mobile Downtown/Historic District: Find the best deal, compare prices, and read what other travelers have to say about Holiday Inn - Mobile Downtown/Historic District. You may prefer to use the TripAdvisor Search Box below to find other affordable hotels near Mobile Cruise Terminal. Now that you have found the hotel near the Mobile Port where you wish to stay, let me show you some Caribbean cruises that sail from the Mobile Cruise Terminal. Currently, only one top Caribbean cruise line - your provider of the "Fun Ships" - Carnival Cruise Line, offers cruises to the Caribbean. 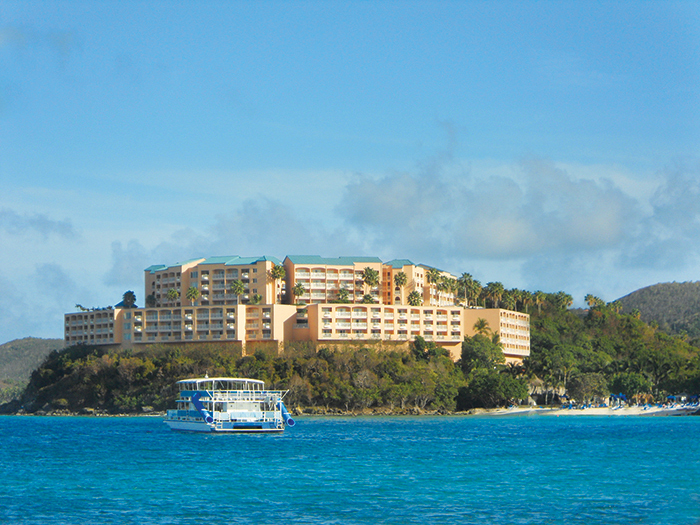 Your family will find 4- and 5-day Western Caribbean cruises from the Mobile Cruise Terminal. Note that there are not many Caribbean cruise sailings that originate in Mobile. Consequently, if you wish to sail from that city, book your cruise early. Note: In addition to the shorter cruise itineraries listed above, Carnival may offer limited longer sailings to include ports such as Roatan, Honduras; Key West; and the Bahamas. Also, the itineraries listed above are subject to change, as Carnival re-positions its ships. 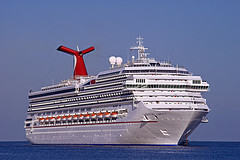 The nearest airport to the Mobile Cruise Terminal is the Mobile Regional Airport. 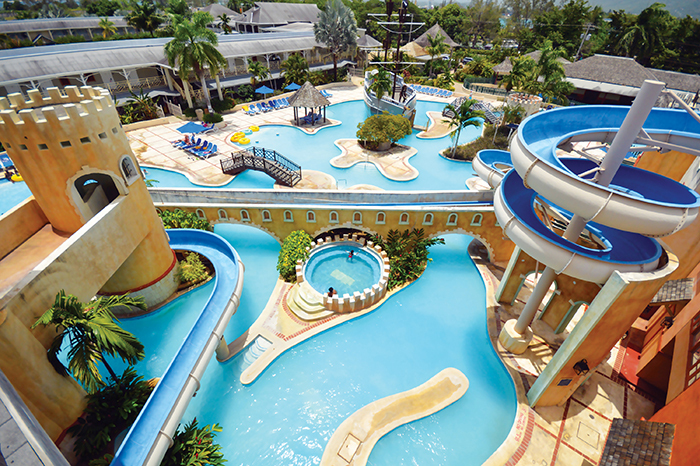 This is also the airport to choose if your family decides to stay at a hotel near the cruise terminal before or after your inclusive Caribbean cruise vacation. 1. Airport Shuttle - Your family may choose to travel by shared shuttle service to the port. At the time of writing this webpage, the rate was $13 per person 1 way and $25 round trip. Children under 12 ride free. This is a great break for your family. So now you have an idea of some places where you may stay in Mobile before or after your inclusive Caribbean cruise. We have given you an opportunity to find, compare prices and see what others are saying about some affordable hotels near Mobile Cruise Terminal.